We like to think we know what’s going on in other people’s lives. That their experiences aren’t so different from our own. The truth is, however, that is far from reality. 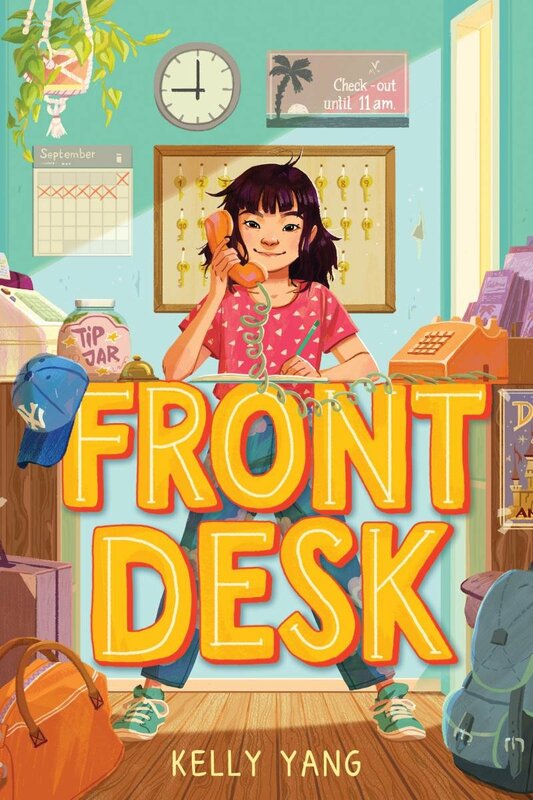 Front Desk, by Kelly Yang, is the fictionalized account of a 10-year-old’s life as a Chinese immigrant to the United States. Mia Tang’s parents brought her family to the United States for better opportunity. Never did they imagine they’d end up running a motel or that their daughter would manage the front desk. Mia doesn’t mind managing the front desk. She like to feel helpful, and she likes the guests. What she does mind are the secrets she has to keep: No child is supposed to be managing a motel front desk, and her parents allow immigrants stay in empty rooms for free. And then there’s school. Mia wants to be a writer, but her mom thinks she should stick to math because English is not her first language. Over the course of a year, Mia works hard and learns that kindness and hard work can lead to amazing things. Front Desk is one of my favorite middle-grade novels of 2018. You can’t help but fall in love with Mia. She’s bright and caring and her can-do spirit is infectious. And while there are many hardships and heavy themes — poverty, extortion, fraud and racism —Yang has masterfully balanced things with humor. Everything is filtered through Mia’s hopeful yet naïve dreams, adding to the rich flavor of this book. I highly recommend Front Desk to readers of all ages.